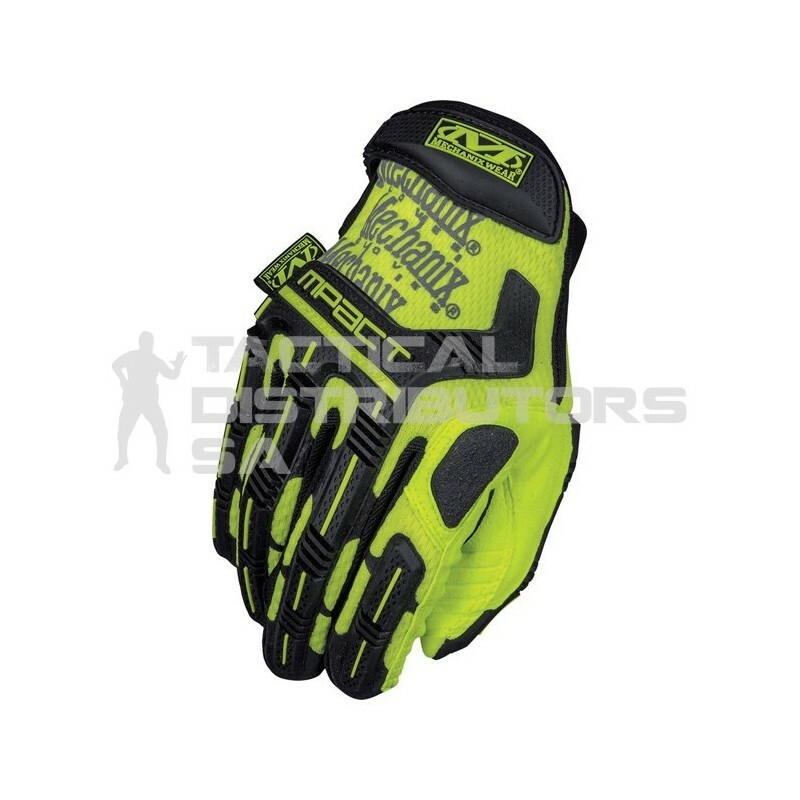 The Mechanix Hi-Viz M-Pact safety Glove utilizes a high-visibility AX Suede palm and ANSI-107 compliant materials to improve visual awareness. Breathable TrekDry form-fits the hand and hi-viz reflective print provides eye-catching luminance. When the going gets rough, Thermoplastic Rubber extends from your knuckles to your fingertips, delivering critical pinch-point and impact protection. The palm features a durable Armortex reinforcement panel and impact-absorbing XRD palm padding for comfort day in and day out.